AMC PLANS A SERIES OF ORIGINAL FILMS TO CONTINUE THE STORY OF RICK GRIMES! The Walking Dead – Rick Grimes (Andrew Lincoln) as Rick Grimes – Photo by Victoria Will/Courtesy of AMC. Rick Grimes may be through as far as the TV series The Walking Dead is concerned, but we haven’t seen the last of the iconic character played by Andrew Lincoln. Scott M. Gimple, the Chief Content Officer for The Walking Dead Universe, has announced that Lincoln will reprise the role in a series of original, feature length films for AMC – production of which could start as early as 2019. The films, produced by AMC Studios, will pick up following the badly wounded Rick’s being helicoptered away during tonight’s episode of The Walking Dead. Challenges Mount for the New Civilization When The Walking Dead Returns! 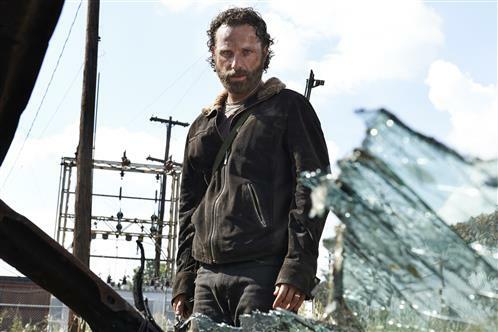 Last season brought the culmination of “All Out War,” which pitted Rick Grimes and his group of survivors against the Saviors and their cunning leader, Negan. Now, we see our survivors a year and a half after the end of the war, rebuilding civilization under Rick’s steadfast leadership. Nothing can prepare them for the formidable force they are about to encounter, which threatens the very idea of civilization that our survivors have worked so hard to build. The Walking Dead returns on October 7th. The Walking Dead’s Season 8B Key Art Foreshadows Life After Carl! The Walking Dead: Season 8B – Photo courtesy of AMC. War is hell – especially in a walker apocalypse. The key art for season 8B of The Walking Dead foreshadows life after Carl, with Daryl Dixon (Norman Reedus), Rick Grimes (Andrew Lincoln) and Michonne (Dania Gurira) facing the Carl-less world together. Season 8B of The Walking Dead premieres on February 25th. The Walking Dead Heads for All Out War! After a season of being broken and having to regroup and rethink their options, Rick Grimes and his allies are ready to take the fight to Negan. When The Walking Dead returns to AMC on October 22nd, it will be all out war. Roadblock: The Walking Dead Sneak Peek! It looks like Rick has reached his boiling point as The Walking Dead returns for the second half of its seventh season – he’s actively reaching out to other communities to rise up against Negan. AMC has released a couple of intriguing videos to set up the winter premiere of TWD: first, executive producer Scott Gimple takes us through the various communities that have been established on the show and second, a sneak peek clip from the winter premiere. The Walking Dead returns on Sunday, February 12th (9/8C). You have to wonder how much longer Rick and Co. can go on. They so rarely catch any kind of real break. The new trailer for the Winter Premiere of Season 5 suggests that this is a trend that will continue. Check it out after the jump. The Walking Dead returns to AMC on Sunday, February 8th (9/8C). As the October 31st global premiere date of the new AMC horror series, The Walking Dead approaches AMC and FIC have planned a world wide Zombie outbreak for Tuesday, October 26th! The one day multi-city events will occur during morning commute peak hours. 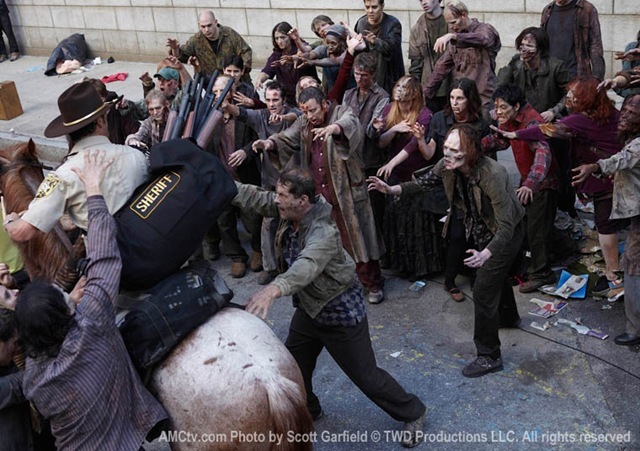 Taking direction from The Walking Dead’s legendary make-up artist Greg Nicotero, hundreds of zombies will consecutively take over major cities worldwide during a 24-hour period. The planned global outbreaks will center in and around the world’s major landmarks, including the Brooklyn Bridge in New York City, the Lincoln Memorial in Washington D.C., Big Ben in London, the Prado Museum in Madrid, the Bosphorus Bridge in Istanbul, the Acropolis in Athens and more. They will begin at daybreak in Taipei and Hong Kong, followed by Istanbul, Madrid, Munich, London, Sao Paolo, Buenos Aires, New York City and Los Angeles, among others. Attacking a total of 26 cities, each outbreak will be documented and shared with fans the world over as it happens. The Walking Dead” premieres on AMC on Halloween, Sunday, October 31 at 10 p.m. ET/9 p.m. For the first time ever for a television series, The Walking Dead will begin to premiere globally a few hours after AMC’s U.S. launch. Similar to a theatrical film release, all FIC markets will launch the first episode during the same week, before the release of the second episode in the US. The Walking Dead will debut in 120 countries, air in 33 languages and be viewed in 250 million households when it premieres. The Walking Dead, which is based on the comic book series of the same name written by Robert Kirkman and published by Image Comics,.is an epic, edge-of-your-seat drama where personal struggles are magnified against a backdrop of moment-to-moment survival. A survivalist story at its core, the series explores how the living are changed by the overwhelming realization that those who survive can be far more dangerous that the mindless walkers roaming the earth. They themselves have become the walking dead. Waking up in an empty hospital after weeks in a coma, County Sheriff Rick Grimes (Andrew Lincoln) finds himself utterly alone. The world as he knows it is gone, ravaged by a zombie epidemic. The Walking Dead tells the story of the weeks and months that follow after the apocalypse. Based on Robert Kirkman’s hugely successful and popular comic book series, AMC’s new original series, The Walking Dead, premieres with a 90-minute episode on Halloween night: Oct. 31 at 10/9c. Written and executive produced by three-time Academy® Award-nominee Frank Darabont (The Shawshank Redemption, The Green Mile), who also directs the pilot, and executive produced by Gale Anne Hurd (The Terminator, Aliens), the series debuts during AMC Fearfest, the network’s annual blockbuster marathon of thriller and horror films. AMC’s Walking Dead Gets Perfect Premiere Date, Teaser Released! 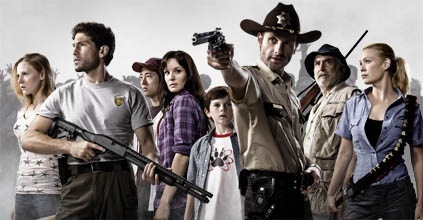 AMC’s zombie drama, The Walking Dead, has been given a premiere date and it’s perfect: October 31, 2010. A four-minute teaser is now available. Check it out! 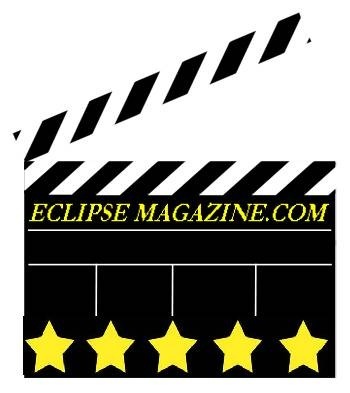 Ever wanted to write your own movie and didn’t know how to go about getting started? There is a great company called ScriptShark that I had the pleasure of coming across back at the 2008 San Diego Comic Con that offers screen writing seminars in both Los Angeles and New York City for those who are a bit daunted by their lack of movie industry savvy. These interesting and informative seminars allow the aspiring screenwriter to delve deeper into the business demands of a screenwriter’s career, and pursue the practical skills and understanding every aspiring screenwriter needs to know in order to position and promote themselves and their screenplay effectively. If you are seriously interested in getting your screen writing career off the ground, then check out ScriptShark. Meanwhile let’s take a look at some upcoming projects from some people already established in the entertainment industry. 3 StoryAndrew LincolnDark Horse EntertainmentDustin Lance BlackGeorge ClooneyKatia WinterMatt KindtMovie NewsMy Idiot BrotherPaul RuddSandra BullockScriptsharkThe DescendentsThe Killing GameThe Walking DeadWarner Bros.